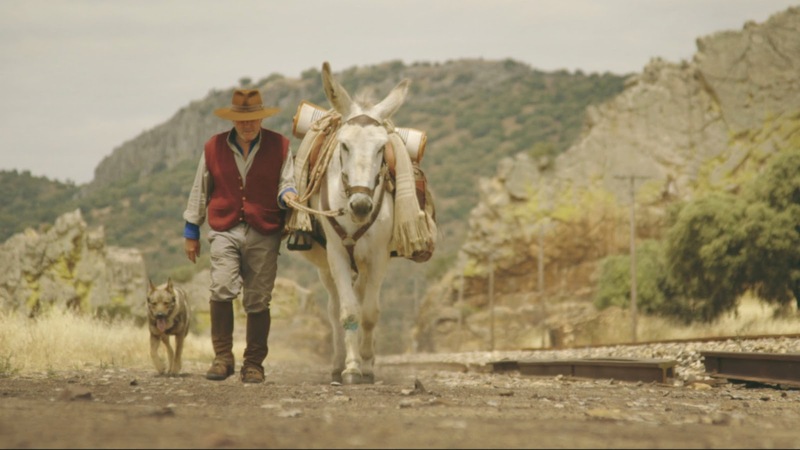 73 year old Manuel wants to travel to America to walk the Trail of Tears however he insists that he takes his donkey along with him. Observational documentary shot by Manuel's nephew takes a little bit to get into, but once you click with it this is a stunning portrait of man who wants to bring his best friend on a grand adventure. The film plays out less like documentary and more like a narrative and there are times where you forget what you are watching. This is a super piece of filmmaking and I'm more than a little shocked that this wasn't picked up by something like the New York Film Festival because it transcends truth or fiction to simply be great storytelling and a moving experience. DONKEYOTE is an amazing piece of filmmaking. It is a film that transcends notion of fact or fiction to go into that special place reserved for a few where truly great storytelling lives. Its a place where you don't care what the implications are simply because the tale is all there is. One of the great finds of 2017, it is a hidden gem of this year's DOC NYC.